Give your laundry layout a facelift by adding this Benchline 45 Litre Laundry Sink offered by Everhard Industries. 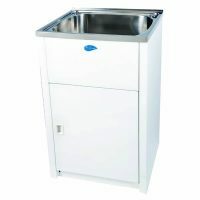 This insert laundry sink features a bowl capacity of 45 litres and offers a simple and clean approach to laundry layouts. 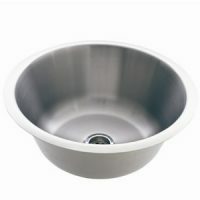 Manufactured using high grade stainless steel, this Benchline Laundry Sink measures 630x470x220mm and is equipped with a 90mm basket waste as well. It featuring a single bypass assembly and is designed for easy installation; using the template provided, simply create appropriate cut outs in your benchtop and the sink will fit in perfectly. The Benchline series of laundry sinks offered by Everhard are superior quality products that stand apart from other sinks in the market. 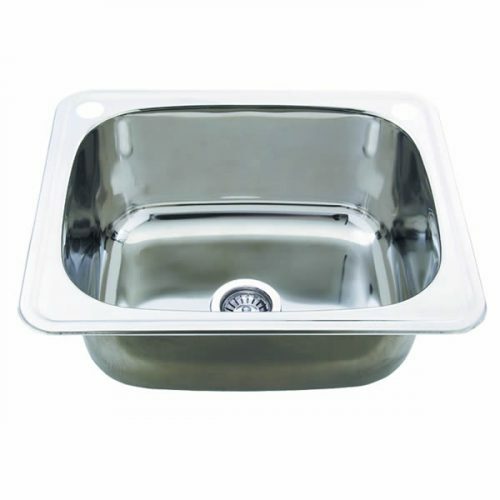 To justify the quality of this sink, Everhard offers some impressive manufacturer’s warranties, including a 25-year warranty on the stainless steel sink and a 1-year warranty on the basket waste. Needless to say, Benchline Laundry Sinks are designed to offer you many years of service. One of our bestselling items here at Ross’s Discount Home Centre, the Benchline Laundry Sink is currently available on our store at the lowest possible price in the market. So what are you waiting for? Buy this sink today!